Own multiple devices but do not wish to commit to a SIM card for each of them? 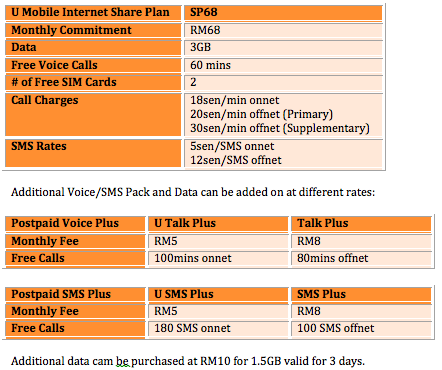 U Mobile just announced a brand new Internet Share Plan that gives you up to 3 SIM cards for one plan. The initial launch only comes with one plan – SP68 at RM68/month for 3GB of high-speed data and 60 minutes of voice calls.